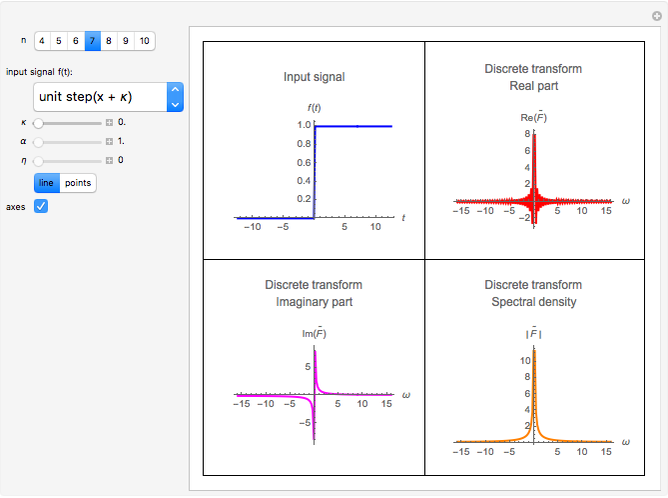 This Demonstration computes an improved fast Fourier transform that we call XFT to distinguish it from the usual FFT algorithms. The XFT is given by the product , where is a diagonal matrix with diagonal element given by , , is the standard discrete Fourier transform, and . Therefore, the XFT is as fast as the FFT algorithm used to compute the discrete Fourier transform. However, the output of the XFT is more accurate than the output of the FFT because it comes from an algorithm to compute the fast fractional Fourier transform based on a convergent quadrature formula. 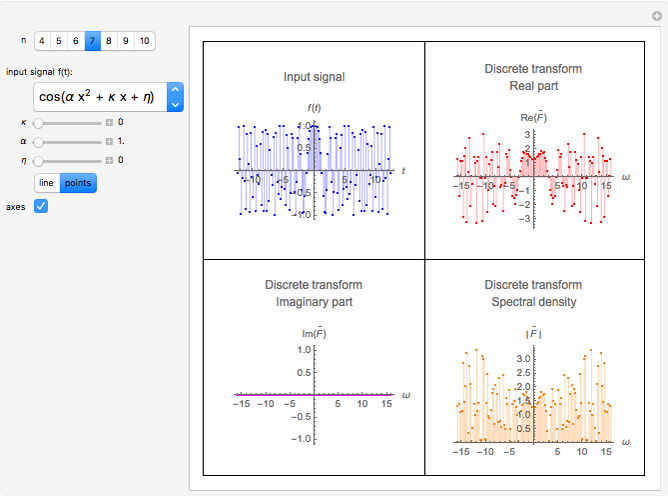 This Demonstration approximates the special case of the continuous Fourier transform defined as evaluated at the points , . A discrete fractional Fourier transform was obtained in closed form in  by using finite-dimensional vectors representing Hermite functions and some asymptotic properties of the Hermite polynomials. The quadrature formula for the fractional Fourier transform obtained in  can be written in matrix form yielding a discrete representation of the kernel of this transform. Since this discrete fractional Fourier transform (XFT) can be written in terms of the standard discrete Fourier transform through a diagonal congruence transformation (a chirp-FFT-chirp transformation), an efficient algorithm of complexity for fast computations of the fractional Fourier transform can be given. 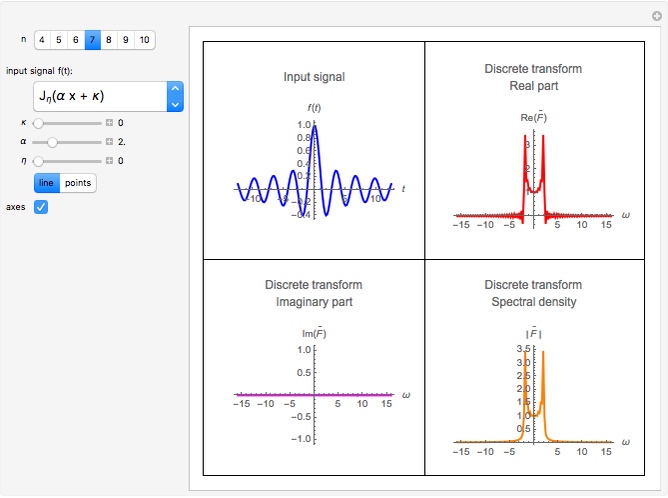 This Demonstration considers the continuous Fourier transform, defined as . R. G. Campos, J. Rico–Melgoza, and E. Chavez, "XFT: Extending the Digital Application of the Fourier Transform," arXiv, 2009. R. G. Campos, J. Rico–Melgoza, and E. Chavez, "RFT: A Fast Discrete Fractional Fourier Transform," submitted. Rafael G. Campos, J. Jesus Rico Melgoza, and Edgar Chavez "XFT: An Improved Fast Fourier Transform"